Devon Maurice Boone was born to Michael and Mary Boone on October 23, 1990. He departed this life on the afternoon of September 13, 2018 at the age of 27. Devon was educated in the Red Clay Consolidated School district. From the age of four and throughout high school, Devon enjoyed sports, especially baseball, basketball, and soccer. During high school he was a member of the Dickinson and Newark Soccer Teams. He was also a member of the Delaware United FC, where his team won four consecutive state championships. Devon was an easy going and fun-loving person who loved to joke and make you laugh. He also loved hanging out with his family and friends. Devon enjoyed all types of music, especially the rappers Meek Mill and Jay- Z. Like his dad, “Chef Devon” loved to experiment with all kinds of recipes and enjoyed creating new dishes for his mom and family to enjoy! Family meant a lot to him and he especially loved caring and playing with his nieces and nephew. These memories of fun and laughter will always be cherished by those who loved him. Devon was proceeded in death by his father, Michael Boone, Sr. (2015); his maternal grandfather, Robert Stromas (2006); and his paternal grandparents, Leon and Pearl Boone (2008 & 2010); and his paternal uncle, Donald Boone (2009). 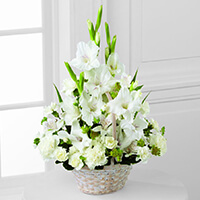 He leaves to cherish his memory his loving mother, Mary Boone; his brother, Michael Boone (Betsy); his maternal grandmother, Elizabeth Stromas; his nieces, Ayanna, Emizha, AnaLaura, Arianna; nephew, Michael III; and many loving uncles, aunts, cousins, and friends. 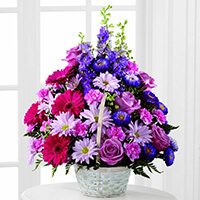 To send flowers to the family of Devon M Boone, please visit our Heartfelt Sympathies Store. We encourage you to share any memorable photos or stories about Devon. All tributes placed on and purchased through this memorial website will remain on in perpetuity for future generations. Mary, I am so sorry to hear about Devon. I am keeping you and your family in my thoughts. Nurse Beverly from Dr. McDermott's office. So sorry for your loss, you and your family will be in our prayers. May God wrap you in his loving arms, and to your family we love them and pray for them during this difficult time. Our family is keeping your family in our thoughts and prayers. With heartfelt sympathy.